Follow the steps below to set up and begin using your new Legend. Let’s start dabbing! Dabbing can seem daunting at first, but we’ve created Legend to be easy and accessible to everyone. Follow the steps below to ensure your first time goes smoothly. Prepare your concentrate material before starting. Turn dial to your desired power setting (as indicated by color). Tip: Start with the purple power setting until you decide on a preference. Using the Dab Tool, put your material into the chamber, all the way down to the bottom. Then, gently twist the dab tool back and forth between your fingers. Remove Dab Tool from the chamber. Press Button to turn device OFF. TIP: Legend continues to heat when left on. Make sure to turn it off during inhale or immediately after each dab. 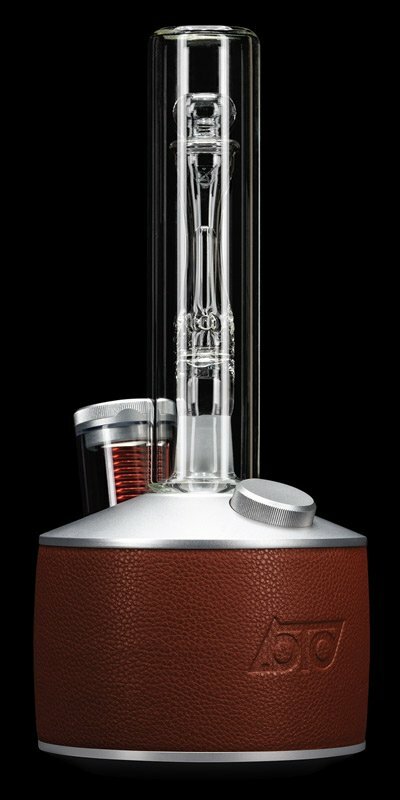 (Optional) Slightly lift or turn Carb Ring while inhaling to clear vapor from Mouthpiece. Make sure to turn Legend off in between dabs. The biggest mistake new users make is leaving Legend on for too long. 6-7 seconds is all you need from a cold start and you need even less when continuously using the unit. Temperature sensing is coming soon via a firmware update available through the Legend App. Once this feature is available, Legend will be able to maintain a set temperature. For now, please make sure to press the OFF button after every use. How often you clean Legend depends on usage and personal preference. Heavy users will want to clean the device every day or have multiple replacement glass pieces for rapid swapping out. Fill the chamber with alcohol. Let your Legend cool completely. Disassemble all glass parts and place them in isopropyl alcohol for a couple of hours (overnight is preferred). Use the provided brush or a pipe cleaner amd clean the parts. Twisting a paper towel can work too. Let air dry and then reassemble. If you have any trouble getting started, reach out. We are here to help!